Your hard drive can be likened to the human heart; it works flawlessly, carrying life sustaining oxygenated blood to the furthest reaches of the body, and while it beats, life continues unimpeded; but should it miss a beat, your health can immediately be at risk. And while our lives may not depend on the hard drive that powers our systems, years of data, proprietary information or treasured family memories could vanish in an instant. We of course wish you health, both personally and for your data, but should the worst happen, we at Manchester Data Recovery have built our business and staked our reputation on hard drive recovery in record time and in a cost effective manner. We maintain cutting edge tools, clean room (that meet or exceed ISO standard) and skilled technicians with years of experience in hard drive recovery, if a hard drive can be recovered, it will be recovered, that is our promise and our pledge. While we do specialize in hard drive recovery, we also recognize that not everyone’s system is the same; whether you’re hard drive resides in a Windows, Apple, Linux or Unix machine, we have the experience and wherewithal to solve your hard drive recovery issues. While often an accident can send a hard drive into catastrophic failure, often there are warning signs, which if heeded, may allow data to be saved prior to failure..
Have you seen one or more instances of the BSOD (Blue Screen of Death)? Has performance dropped for seemingly no reason? Have you heard unusual ticking/clicking sounds coming from your hard drive? This could signal imminent hard drive failure, please call us with any questions or concerns, we offer a free analysis. It is certainly sensible to backup your files, and should you ever experience a hard drive failure, you’ll likely remember to do so in the future. However, if you haven’t as yet taken that step, we offer hard drive recovery on..
Just as your doctor might prescribe a good diet and exercise as a way to ensure good health, we recommend your system operate in an area free from dust and dirt, not overly hot (heat is a hard drives worst enemy). And please… “Don’t try this at home”. While it may be tempting to try your own “at home” fix, you could potentially do more harm than good, particularly if you open your factory sealed hard drive. Don’t do it, call us instead we are happy to answer any and all hard drive recovery questions free of charge. We’re specialists; our entire staff is trained in hard drive recovery. Logical data – which means files that were deleted, deleted partitions, drives that were formatted, BIOS that, was lost. Mechanical – if you hear clicking or ticking sounds, call us now, before it’s too late. Electronic – you may have had a storm come through and lighting surge through your system. 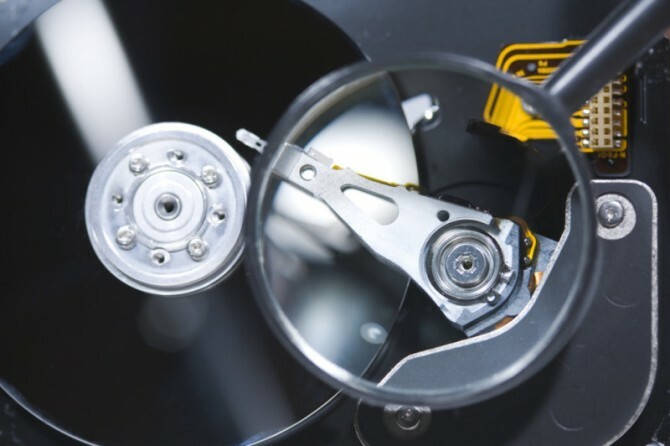 Accidental – dropped hard drives, hard drives that have experience water damage/floods or fire damage. There are many ways that data on a hard drive can be lost, however there are just as many way that the skilled staff at Manchester Data Recovery can ensure complete hard drive recovery. Call us now on 0161 207 3282 for a free no cost, no obligation consult or..